Warranty on all our products.All Products are covered the famous "Albany" seal of quality. The experts at Albany Refrigeration offer leading edge coolroom sales and repairs in Melbourne. As Agents for the “Skope Misa” range of coolrooms and freezer rooms, we can supply a DIY flat pack for your room or a separate fully assembled and installed operating coolroom. We can help you carefully assess your needs and tailor a solution that takes into account your current requirements while also making allowance for future business growth. Naturally, we take your budget into account and advise you on options that maximise efficiency through using specific brands and choosing optimal coolroom sizes. We can also discuss the effects of your choice on ongoing power usage. Albany also undertakes coolroom repairs in Melbourne. Our sign written, well stocked service vans and uniformed trained licensed technicians are well organised to respond rapidly to emergency coolroom repairs at any time and on any day of the week. If refrigerated produce is a major part of your business, it is vital that this be kept in optimum conditions to help maintain freshness for the longest possible time. This can sometimes be challenging if the coolroom is frequently opened, during different times of the year with fluctuations in temperature and humidity, and any intermittent power shortages. To aid in managing this, we strongly recommend scheduling a regular Preventative Maintenance service with us during which we check for fluctuations and ensure your equipment does not lets you down. 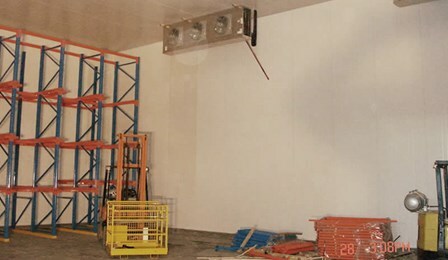 Albany Refrigeration is also experienced in Project Managing and building industrial coolrooms for warehousing and food manufacturing facilities. 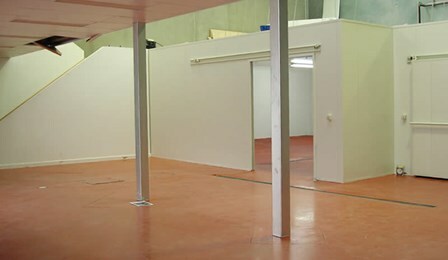 Here, we can run the whole installation from building the coolroom to supplying concrete, electrical, heating, refrigeration and all the incidentals required to complete the project. Indeed, Albany Refrigeration is your one stop shop for both large and small commercial refrigeration. You can also enquire with us about coolroom hire. If you are located in and around Melbourne, call our friendly expert team today on 03 9808 8069 to discuss your coolroom needs.